The team of professionals of our company was glad to meet our clients and colleagues and to discuss issues of mutual interest and share opinions concerning practices development and integration. As usual the friendly atmosphere of INTA meeting was favorable for fruitful and beneficial interaction. 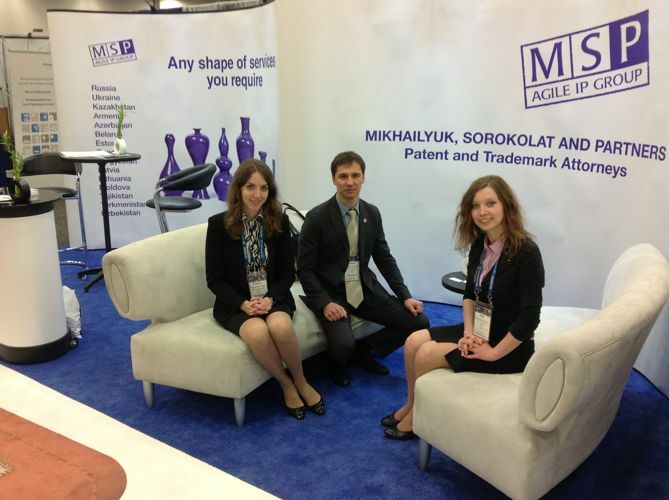 By tradition our company took part at the INTA exhibition introducing a new slogan “Any shape of service you require”. This concept embodies one of the leading strategies of our work that is flexibility in view of each clients’ special needs as well as provision of scaleable solution of their case insofar as possible. It was a pleasure for us to receive all the visitors of our booth and we hope to meet them again at next IP related events.